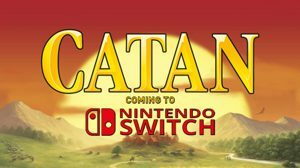 Settlers of Catan Heading To Nintendo Switch In June - WebGamer.NET | The Website for Gamer. Build your empire on the go! The classic board game, Settler’s of Catan, is finally coming to the Nintendo Switch. The game was announced last year, but we finally have a release date now.